keep you up-to-date with occasional postings about important Coin Collecting news and information. To subscribe to my Coin blog (no e-mail necessary), right-click on the orange RSS button (to your left) and then paste the URL into your RSS reader. If you are not sure what RSS and blogging is all about, click on the (?) Question Mark above the orange XML/RSS link on the list. You are going to be amazed at what RSS can do. Continue reading "5 Dollar Gold Coin"
The 20 Cent Piece is a twenty cent coin made by the United States Mint beginning in 1875 and ending in 1878, one of the shortest mintages in U.S. History. Continue reading "20 Cent Piece"
I have been collecting coins since I was ten years old and of course I would go through my change and admire my coins for something unusual and exciting. Continue reading "My First Collectible Coin Find "
Continue reading "1945 Penny with Buffalo Nickel backing"
Continue reading "1971 white penny weighs 3.23 grams"
Continue reading "Value of one-sided nickel "
Continue reading "What does 2 of Date over 1 mean?" Question: On the reverse side of a 1943 walking liberty 1/2 dollar, there is a 'w' to the right of the HALF DOLLAR and just under the tip of 1 feather. Continue reading "Small 'w' on Reverse of Walking Liberty Half Dollar"
I get a lot of questions from readers wanting to know the value of a Two Headed Coin or sometimes even coins with two reverse sides (tails) they have found. Continue reading "Two Headed Coin"
Continue reading "British Coin forecast 2012"
Continue reading "is it good to save for axample, a penny for every year, or just a sample." Continue reading "How can I get a price guide on pennies I've saved?" 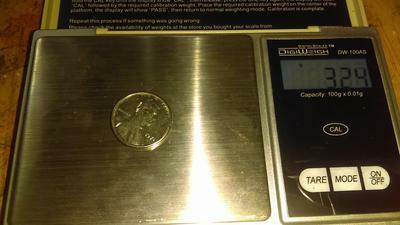 Continue reading "kennedy 40% half dollar weigh?" 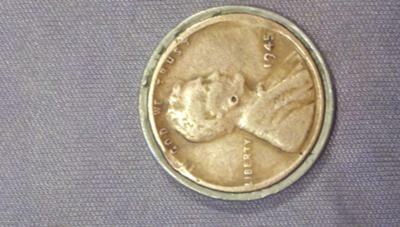 Continue reading "How many 1982 d small date pennies were minted?"